Art Breath, in collaboration with SOAS, will hold a series of events looking at the intricate relationship between art and politics. Through the lens of art, the themes that will be explored throughout the series are: soft power, freedom of expression, street art, gender, identity, conflict, peace building, and many more. ​The fifth event in the series will take place on Wednesday 6th June 2018 in the format of an interview and Q&A, followed by a drinks reception. Ambassador Rami Mortada will discuss his professional experiences as an Ambassador in various countries and his perspective on arts and culture within politics. The focus of the discussion will be on how and if culture and cultural events can be tools to bring countries, people and communities together and how art and diplomacy can work together to create understanding. We will also reflect on Lebanon and how the country and its diaspora put forward its culture and arts. 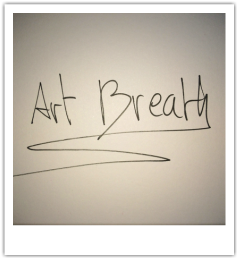 ArtBreath, in collaboration with SOAS, will continue to hold a series of events in 2017 looking at the intricate relationship between art and politics. Through the lens of art, the themes that will explored throughout the series are: soft power, freedom of expression, street art, gender, identity, conflict, peace building, and many more. "Art as a Political Tool" with Charles Tripp and Hayle Melim Gadelha Art Breath, in collaboration with SOAS, will hold a series of events in 2016/17 looking at the intricate relationship between art and politics. Through the lens of art, the themes that will explored throughout the series are: soft power, freedom of expression, street art, gender, identity, conflict, peace building, and many more. We will have our inaugurating event on Thursday 24 November - in the format of discussion followed by Q&A and a drinks reception. The topic of discussion is "Art as a Political Tool" and it will highlight both the personal angle of the speakers, why they engage in art and politics; if and why art is a political tool, if and how art can help us to understand politics; why is art a tool used in politics and the relationship between the two notions. Charles is Professor of Politics with reference to the Middle East and a Fellow of the British Academy. His research interests include the nature of autocracy, state and resistance in the Middle East, the politics of Islamic identity and the relationship between art and power. He is currently working on a study of the emergence of the public and the rethinking of republican ideals across the states of North Africa. Hayle is a career diplomat and the Cultural Attaché of the Embassy of Brazil in the UK. In 2010, he won the scholarship to attend the Andrés Bello Diplomatic Academy in Chile (Santiago), an accolade recognizing his diplomatic talent. From 2011 to 2014, he served in Beijing, in the commercial section with significant achievements in the promotion of Brazilian trade and investment. Nour is the Founder of Art Breath. She is also an artist, designer, writer, and researcher. In 2013, she moderated and developed the content for the panel “Trendsetters as Champions” for the NextGEN Exchange Leadership Forum (Flying Bridges) at the OECD headquarters in Paris. In 2014, she was part of 'Art for Life' for the British Red Cross as well as having some of her work exhibited at the Japanese Embassy in London. The NextGEN Exchange Leadership Forum, Flying Bridges, at the OECD headquarters in Paris. ​Copyright © Nabil Kanso, all rights reserved. ​Copyright © Nour Saleh, all rights reserved.